You may have noticed by now that I love cooking with puff pastry... Here is another family's favorite, so easy to make and delicious. Preheat the oven at 425F. 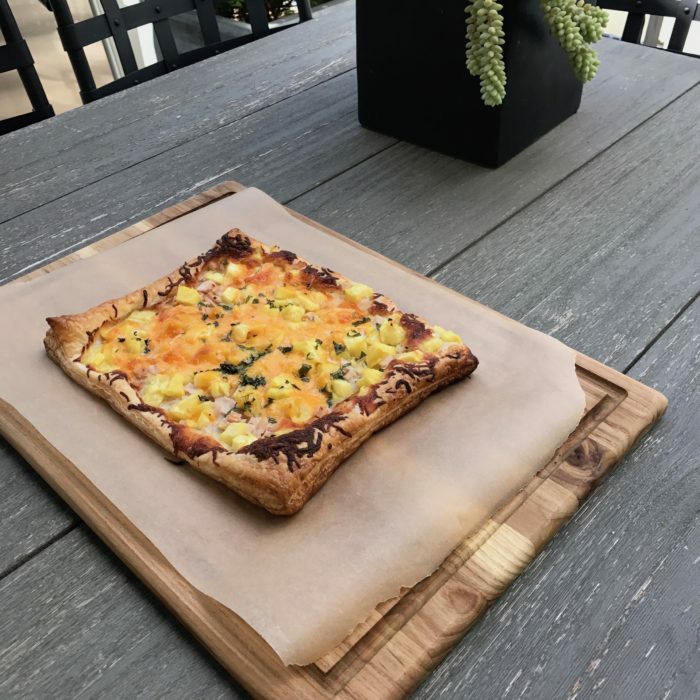 Lay the dough on a baking sheet, add the mozzarella, turkey, pineapple, cheddar and basil and bake for 15-20 minutes until cheese is bubbly and crust is golden brown.... Serve with a nice green salad and you have a nice and easy brunch!